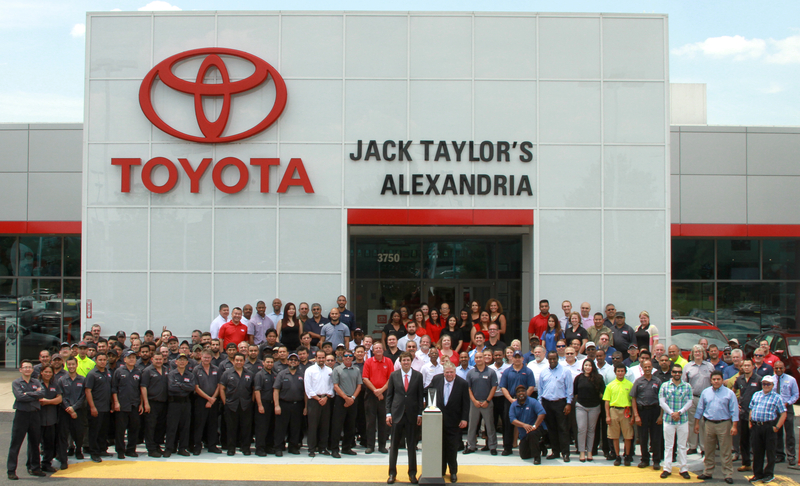 Welcome to Jack Taylor’s Alexandria Toyota! Over the years, our commitment to excellence has been rewarded with some of the top accolades in the industry. In the past several decades, we’ve received the coveted Toyota President’s Award 32 years in a row, one of only four Toyota dealers in the United States hold that distinction. Some of our other accolades include 17 Customer Relations Excellence Awards, 19 Customer Service Advisory Board Awards, 18 Toyota Service Excellence Awards, 19 Toyota Parts Excellence Awards, and four Women’s Choice Awards. Here at Jack Taylor’s Alexandria Toyota, we also recognize our part in the larger community around us. That’s why we continue to give back to the folks around us each year with donations to causes like the Run for Veterans, Capital Caring, Art on the Avenue, the Del Ray Music Festival, Alexandria Country Day School, Alexandria City Public Schools, Alexandria’s Walk to Fight breast Cancer, the Parkinson’s Foundation of the National Capital Area, and more. We’re happy to serve the wider Alexandria community, and we hope that you’ll give us the chance to be your next Toyota dealer. Stop in and see us seven days a week at 3750 Richmond Highway in Alexandria, VA, and please contact us with any questions!